ASTM B649 SS 904L Washers, Stainless Steel 904L Plain Washers Dealer, Stainless Steel UNS N08904 Industrial Washers Stockists, SUS 904L SS Square Washer Suppliers, Stainless Steel 904L Fasteners, DIN 1.4539 Spring Washer, Distributors of Stainless Steel 904L Dock Washers, AISI SS 904L Ogee Washers in Mumbai, India. Stainless Steel Gr. 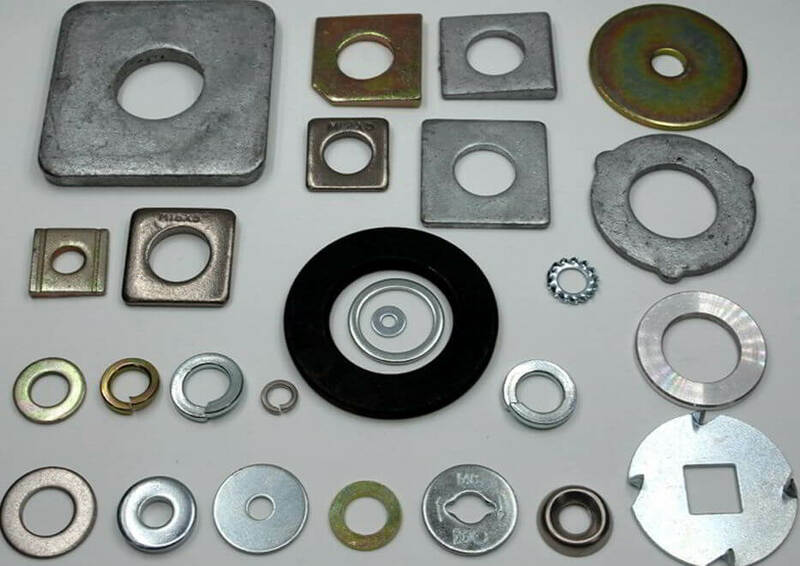 904L Star Washer Manufacturer, Alloy 904L Washers, ASME B18.22.1 Stainless Steel 904L Customized Washer, SS 904L Tab Washers Wholesaler, ASME SB649 SS 904L Tooth Lock Washer, DIN 125 Austenitic Stainless Steel 904L Flat Washers Exporters. Renine Metalloys is a known trader of SS 904L Washers, which can be machined but does not machine well. Stainless Steel 904L Flat Washers is non-magnetic in many environments and has supreme welding and forging features. Stainless Steel 904L Lock Washers has good resistance to general corrosion, particularly in sulfuric and phosphoric conditions. Do not work these Stainless Steel 904L Sealing Washers at less than 1800 Degree F. This sort of thermal treatment is a good choice for hardening Stainless Steel 904L Split Washers. Uniform corrosion in Stainless Steel 904L Slot Washers occurs when all, or at least a large section, of the passive layer is destroyed. The high resistance of Stainless Steel 904L Star Washers against stress corrosion cracking is due to the presence of high amounts of nickel in its composition. Stainless Steel 904L Machine Washers is used for Heat exchangers and Condenser tubes. There is no risk of inter-crystalline corrosion on cooling or welding of Stainless Steel 904L Spring Washers due to the low carbon content. High nickel content in Stainless Steel 904L Wire Spring Washers results a much better resistance to stress corrosion cracking than the standard austenitic grades. Stainless Steel 904L Flat Spring Washers is known to contain expensive ingredients such as nickel and molybdenum. Stainless Steel UNS N08904 Washers is used in Air Pollution Control — scrubbers for coal-fired power plants. Moreover, the addition of copper to 904L Stainless Steel Washers develops resistance to sulfuric acid. SS 904L Slant Washer, UNS N08904 Plate Washer Suppliers, Werkstoff No 1.4539 Stainless Steel Countersunk Washers Traders, DIN 127 SS 904L Fender Washer, 904L Stainless Steel Lock Washers, SS 904L Hexagonal Washer, SS SUS 904L Bevel Washers Exporters. Stainless Steel 904L Fasteners, ASTM B649 Stainless Steel 904L Washers, SS 904L Washers, Alloy 904L Washers, UNS N08904 Washers Exporters, ASME SB649 904L Stainless Steel Flat Washer, AISI SS 904L Lock Washers, SUS 904L SS Finishing Washers, ASTM B649 904L Stainless Steel Bonded Sealing Washer, SS 904L Hillside Washers, Stainless Steel B649 904L Belleville Washers, SS 904L Industrial Washers, SS 904L Conical Washers, DIN 1.4539 Round-Mall Washers, UNS N08904 Wave Washers, Werkstoff No 1.4539 Stainless Steel Fender Washers, 904L Stainless Steel Tooth Washer, SS 904L Internal Tooth Lock, SS 904L External Tooth Lock, Stainless Steel 904L Plain Washers Exporter, ASME SB649 904L Stainless Steel Flat plain Washers, SS UNS N08904 Square Washers Supplier, GB Stainless Steel 904L Dome Plain Washers, 904L SS Countersunk Washers, UNS N08904 Dock Washers, SS 904L Ogee Washers, 904L SUS Steel Bevel Washers Stockist, Austenitic Stainless Steel 904L USS flat washers, SS 904L SAE flat washer, SS 904L Split Lock Washers, 904L Stainless Steel Spherical Washer, AISI Steel 904L Spring Washer, Stainless Steel UNS N08904 Slant Washer, JIS SS 904L Custom Washer Stockists, SS 904L Star Washers Stockists, Stainless Steel 904L Tab Washer, EN SS 904L Double Tab Washers Traders, DIN 1.4539 Stainless Steel one Tab Washers Dealer, ASTM B649 Stainless Steel 904L Taper Washers, ASME SB649 Stainless Steel Grade 904L Round Washers, SS 904L Square Plate Washer, SS 904L Dome Tooth Washer Stockholder, UNS N08904 SS Torque Washers, Supplier of High Quality Stainless Steel 904L phenolic Washers, Manufacturer of Stainless Steel 904L ASTM B649 split Washers Traders, Exporters of Stainless Steel 904L Special Washers, SS 904L Hex Washers Dealer, SS 904L Customized Washer Stockholders, DIN Standard Stainless Steel 904L Washers, ANSI Standard Stainless Steel 904L Washer, BS Standard Stainless Steel 904L Washers, ISI Standard Stainless Steel 904L Washer, ISO Standard Stainless Steel 904L Washers. Madrid, Bangkok, Chandigarh, Nagpur, Karachi, Cairo, Vadodara, Atyrau, Muscat, Dallas, Colombo, Manama, Lahore, Moscow, Rajkot, Faridabad, Secunderabad, Dubai, Tehran, Bhopal, Bogota, Jaipur, Ho Chi Minh City, Ludhiana, Pune, Montreal, Howrah, Kanpur, Noida, Mumbai, Turkey, Los Angeles, Ranchi, Petaling Jaya, Rio de Janeiro, Gimhae-si, Hanoi, Mexico City, New Delhi, Calgary, Al Khobar, Visakhapatnam, Kolkata, Dammam, Lagos, Busan, Singapore, Aberdeen, Brisbane, Jakarta, Thane, Algiers, Sydney, Surat, Australia, Santiago, Edmonton, New York, Seoul, Chiyoda, Nashik, Perth, Courbevoie, Caracas, Milan, Granada, Vung Tau, Istanbul, Ahmedabad, Sharjah, Bengaluru, Port-of-Spain, Doha, Ulsan, Kuala Lumpur, Jeddah, Ernakulam, Indore, Geoje-si, Hong Kong, Hyderabad, Al Jubail, Chennai, Toronto, Jamshedpur, Kuwait City, Pimpri-Chinchwad, Coimbatore, Haryana, Riyadh, Gurgaon, Thiruvananthapuram, La Victoria, Ahvaz, London, Navi Mumbai, Abu Dhabi, Houston, Baroda. Slovakia, Tibet, Bhutan, Romania, Lithuania, Austria, Bulgaria, Macau, Puerto Rico, New Zealand, brazil, Saudi Arabia, Sri Lanka, Mexico, Trinidad & Tobago,Tunisia, Bolivia, Denmark, Lebanon, United States, Costa Rica, Colombia, Switzerland, Greece, Estonia, United Arab Emirates, Mongolia, Peru, Chile, Malaysia, Serbia, Qatar, Ghana, South Korea, Nigeria, Kuwait, Argentina, Bahrain, Afghanistan, Norway, Singapore, China, Ukraine, Hong Kong, Australia, Azerbaijan, Czech Republic, Belgium, Venezuela, Gambia, Israel, Philippines, Nigeria, Germany, Bangladesh, cyprus, Morocco, Poland, Poland, Mexico, Italy, Libya, mexico, srilanka, thailand, malaysia, South Africa, Brazil, Gabon, Canada, Portugal, India, Croatia, Taiwan, Hungary, Egypt, Finland, Nepal, France, Belarus, Spain, Iran, Japan, Jordan, Iran, Turkey, Kazakhstan, Algeria, Yemen, Sweden, Vietnam, Ireland, Netherlands, Oman, Chile, Kenya, Thailand, Russia, Ecuador, Namibia, United Kingdom, Zimbabwe, Indonesia.